'Light Art' can be recognized as far back as the Medieval period with stained glass, whereas the 'Light and Space' art movement hails from the 1960s. I’ll discuss artists who bring art to life through light. 'Light Art' can be loosely used to describe all art that consists of some form of light as one of its contributing factors. When you see the cathedrals in Europe (live or in books), you can see how light makes the stories in the stained glass come to life. The 17th century Dutch artist, Johannes Vermeer is, in my opinion, the quintessential 'painter of light'. It doesn’t matter if he used a camera obscura (or not). Vermeer mixed his own pigments and layered white in a unique way that brings illumination to his paintings – even 400 years later. During 19thc England, JMW Turner, a Romanticist landscape painter, would create 'pure light' with his oils as he questioned spirituality in the world and painted shipwrecks, fires, and nature (light, storms, rain, and fog). 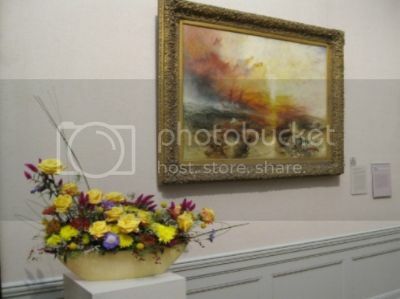 This is a photo of JMW Turner's 'Slave Ship'(1840) at the Museum of Fine Arts, Boston 'Art in Bloom'. Photo by the author Camille Gizzarelli. Turner is said to have later influenced Impressionist painter Claude Monet with his 'pure light'. The American artist Thomas Kinkade produced limited edition paintings until his death in 2012. He would be smart enough to trademark 'painter of light', and through his Thomas Kinkade Company, he would license and mass produce his artwork (for sale). You might say Thomas Kinkade was a modern day Andy Warhol in the expert marketing of his works. During the 1960s and 1970s in southern California, artists Robert Irwin and James Turrell would pioneer the "Light and Space" art movement – otherwise known as Minimal art. Robert Irwin had a wondrous sixty-year career creating light and space installations. In the 1970s he would use fluorescent light, and his installations were site specific. Early oil on canvas works (1958-1971) will be on view in "Robert Irwin: All the Rules Will Change" at the Hirshhorn Museum and Sculpture Garden, Washington, DC through September 5, 2016. James Turrell has defined light, perception, and site as the roles in his works of art. Turrell uses natural and artificial light (LED was introduced in 2010) in his Installation art. Dan Flavin is an artist known for his sculptures, Minimalism, and Installation art. His career spans from the 1960s until his death in 1996. Flavin used fluorescent tubes (and began using circles in 1972) and used limited colors (red, blue, green, pink, yellow, ultraviolet) and four shades of white. Flavin created more than 750 light sculptures, in his "environments of light." Light is all around us – white light and blue skies. The artists make us more aware of our surroundings. 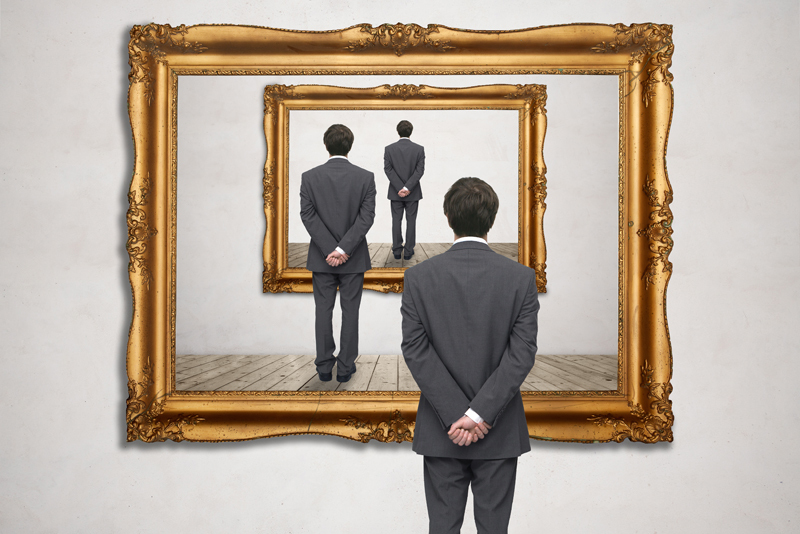 We only need to observe and reflect.